Water Filters remove impurities by reducing water contamination using fine physical barriers, chemical processes, or biological processes. Clean water to various levels for purposes such as providing agricultural irrigation, accessible drinking water, public and private aquariums, and the use of a safe pool or swimming pool. PT. 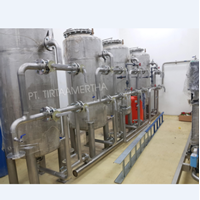 Tirta Amertha Sell Water Filter as the first fortress against the potential health risks that might come from dirty water. For various reasons, the water that reaches your faucet may not be as clean as leaving the facility. When you feel your water is too dirty, you need your own Water Filter at home. Clean drinking water is an important part of everyday life, so it's not surprising that humans have created many ways to treat water. In fact, the water filtration system has long been a part of civilization, which originated in ancient times. Filter technology is very varied but it is difficult to crown one system as a boss, because different types serve different purposes. Some filtration systems depend on several technologies, while others are effective themselves. Each type removes different impurities, so it's important to get the right type of filter for the type of contaminant you want to remove. Keep in mind that even in the same type of technology, discarded contaminants can vary. For example, some carbon filters remove chlorine while others don't. 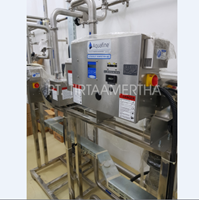 Ultra Violet SystemWater sterilization system using the process of irradiation of ultraviolet light.It functions to disinfect or kill bacteria in water (water filter), TOC reduction, and ozone destruction. 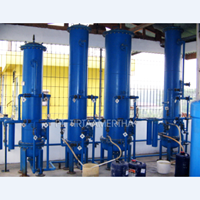 Manual Sand FilterManual Sand Filter water filter manually operated by using valve while backwash and rinsing filter. 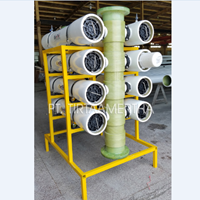 Demineralizer PlantWater filter system that serves to reduce the metal content in water by ion exchange methods, namely cation resin filter and anion resin filter. 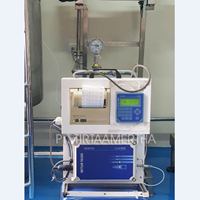 TOC SystemThe TOC system, or abbreviation of the Organic Carbon System, is a water filter system by measuring the amount of bacterial microorganisms present in water. 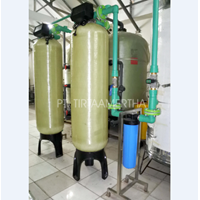 UltrafiltrationUltrafiltration is a water filtration system (filter water) or filtration sistem by using media with pore size 0.01 - 0.02 micron filter.Available in diameter dimension filter size 4 ", 8", 16 "
Is a type of water filter that is operated automatically for backwash and rinsing using a timer. Designed for general purpose water filtration. This automatic permanent media backwashing filter will remove the suspended organic and / or inorganic suspended solids up to 20 microns in size. With the use of backwashing that is controlled automatically, the filter will operate "on line" for a long time before the short backwashing cycle. Operation Water Filter is automatically monitored at both elapsed time and pressure difference. When the controller "calls" for a branching as a result of the difference in pressure or time elapsed, the backwashing function uses a portion of the filtered water produced by the system to clean the media. Single tank system uses unfiltered water for washing back. 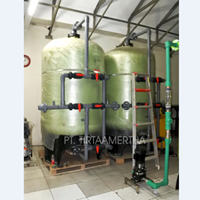 An optional backwash water source water source is available for single and double tank systems.Automatic Sand Filters provide the effective removal of suspended solids commonly found in many water sources. Sand Media Filter uses permanent filtering media and automatic wash for easy operation and consistent water quality production capability. 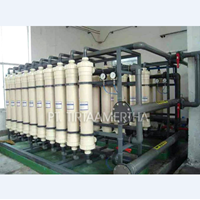 Single Water Filters are commonly used for pre-treatment of reverse osmosis systems or deionized water systems, pre-filtration for cartridge or cartridge filtering systems, industrial water filtration for plant reuse and general filtration applications where solid waste discharges are suspended up to 15 microns in desired size .